This outstanding site presents tribal histories grouped by geographic region. The tribes of the Northeast are fully covered, with well-organized essays about each. Abenaki History, including the Penobscot people-- Pentagoet, Panaomeska-- meaning "rocky place," or "ledge place." This homepage details the history and culture of the Pequot people in Connecticut. The website of the Mohegan tribes that details the history and customs of the Mohegans in Connecticut. A Plimouth Plantation site on Native Americans of Plymouth and the Cape Cod area. This excellent website, part of the Internet Public Library, provides information on Native North American authors with bibliographies of their published works, biographical information, and links to online resources including interviews, online texts and tribal websites. The emphasis is on contemporary Indian authors. Created through dialogues with the Penobscot people about their cultural heritage and its presentation, including an on-line interactive kiosk exploring the Penobscot language. 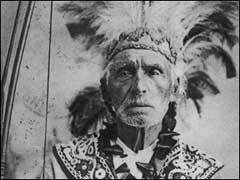 Click to hear Native people speaking Penobscot. Maine Native American baskets are made from brown ash--the Basket Tree--which grows in wetlands and around streams. Excellent resources on American Nature writers and related themes. ESQ: A Journal of the American Renaissance(formerly Emerson Society Quarterly) is devoted to the study of nineteenth-century American literature. It focuses upon all aspects--literary, religious, philosophical, and historic--of the romantic transcendental tradition emanating from New England. Articles on Hawthorne and Thoreau are found here.